They cover a power range from 0.12 kW to 2700 kW. Users benefit from a standardised and user-friendly operating concept that minimises training and service requirements. And last but not least, the SINAMICS G range also represents unbeatable value for money. 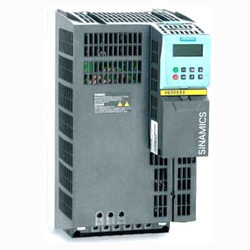 Siemens VFD Sinamic G 110 (Ac Drive) is a frequency inverter with basic functions for a variety of industrial variable-speed drive applications. The particularly compact SINAMICS G110 inverter operates with voltage frequency control on single-phase supplies (200 V to 240 V). It is the ideal low-cost frequency inverter solution for the lower power range of the SINAMICS family. A SIEMENS SIEMENS MICROMASTER (MM)420 frequency inverter, which can be adapted to every individual provisions without any great effort. MICROMASTER 420, the comprehensive inverter for 3-phase networks and voluntary field-bus connection from Siemens is designed for flexibility. Thanks to its modular design, the wide standard functions can be supplemented with a wide variety of options. No need for tools, as the operator panels and the communications modules can be simply plugged in. And Screw less control terminals - as with the rest of the family - make terminal connection anybody’s job. Even in the world of drives, there are often forces which are difficult to control. Until the most powerful of our frequency inverters enters the field. 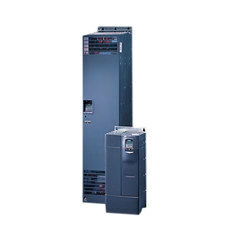 The Siemens MM 440 VFD AC Drive has been specially designed for those applications which require broader functionality and a greater dynamic response than is usually the case. The sophisticated vector control system ensures a uniformly high drive quality, even when sudden load changes occur. Fast response inputs and positioning deceleration ramps allow movement to target positions even without an encoder. Due to an integrated brake chopper, it works with outstanding precision, even during braking and short declaration ramps. All this is possible within a power range starting at 0.12 kW (0.16 HP) and going up to 250 kW (350 HP). Various communication interfaces ensure usability with the most common network applications. 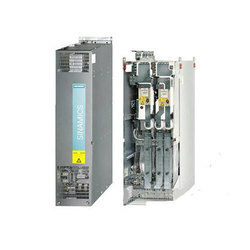 Siemens Sinamic G130 VFD (AC Drive) chassis units have been designed for variable-speed drives in machine building and plant construction.They have been particularly tuned to the necessities of drives with quadratic or constant load characteristics with medium performance requirements without regenerative feedback. The control accuracy of the sensorless vector control is appropriate for most applications, and additional actual speed value encoders are therefore redundant. 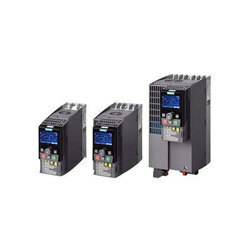 Siemens Sinamic G 120 C VFD (AC Drive) has been especially designed for machine manufacturers who are looking for an economic, space-saving and easy-to-operate frequency converter delivering a multitude of functions. This device combines in particular compactness with superior power density and is branded by fast installation and commissioning, user-friendly connections resp. easy-to-use commissioning tools. With its three frame sizes, it covers a presentation range of 0.55 kW to 18.5 kW. The energy-efficient device serves the most common communication interfaces and is an integral part of Totally Integrated Automation. 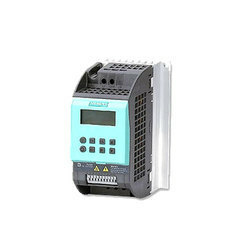 Operating hours counter for "drive on" and "motor on"
Siemens VFD Sinamic G 120 (AC Drive) is the universal drive to address the widest range of requirements in industry and the trades. Machinery construction, automotive, textiles, printing, packaging and the chemical industry they all trust in the well-proven SINAMICS G120 solutions. They are also used around the world in higher-level applications, for instance in conveyor technology, in the steel, oil and gas and offshore areas as well as for regenerative energy recovery. Its modular design, comprising Control Unit (CU) and Power Module (PM) for the power range extending from 0.37 kW up to 250 kW, make it the perfect system for standard applications.The wide range of available components allows you to optimally configure the inverter that you require for your particular application. You can simply combine the corresponding modules depending on the requirements relating to the hardware, communications and safety technology. The G120 is being continually innovated to include new elements and options, still maintaining the high degree of user friendliness – from installation through to maintenance. 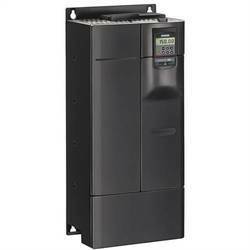 Siemens VFD MM 430 AC Drive Every task performed by a drive system involves its own specific requirements. There is therefore a demand for inverter solutions that can be easily and flexibly adapted to cope with the broadest variety of challenges. It is exactly this flexibility which characterizes our modular MICROMASTER 430. Specially for use with pumps and fans in industry, it performs a wide variety of tasks in similar applications as well. Compared to the MICROMASTER 420, it features greater power efficiency and has more inputs and outputs as well as an optimized operator panel with switch-over between manual and automatic modes of operation. 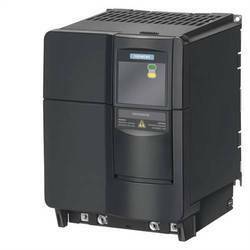 Siemens is offering a simple and cost-effective drive solution with its compact Siemens VFD Sinamics V20 AC Drive Performance converter. SINAMICS V20 sets itself apart as a result of its quick commissioning times, ease of operation, robustness and cost-efficiency. With seven frame sizes, it covers a power range extending from 0.12 kW up to 30 kW. 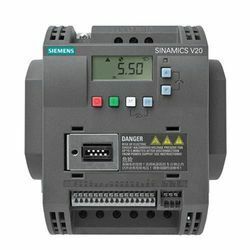 Siemens V20 has a compact design, and can be individually adapted to the particular application or user requirements using various options (for example, an external BOP, connecting cable, filter, braking resistors, shielding, ...). The compact devices are suitable for industrial applications, such as pumps, fans, compressors and conveyor systems. On the other hand, the compact converters can also be used in residential and business environments – for commercial applications, such as refrigerated counters, fitness equipment, ventilation systems and commercial washing machines.